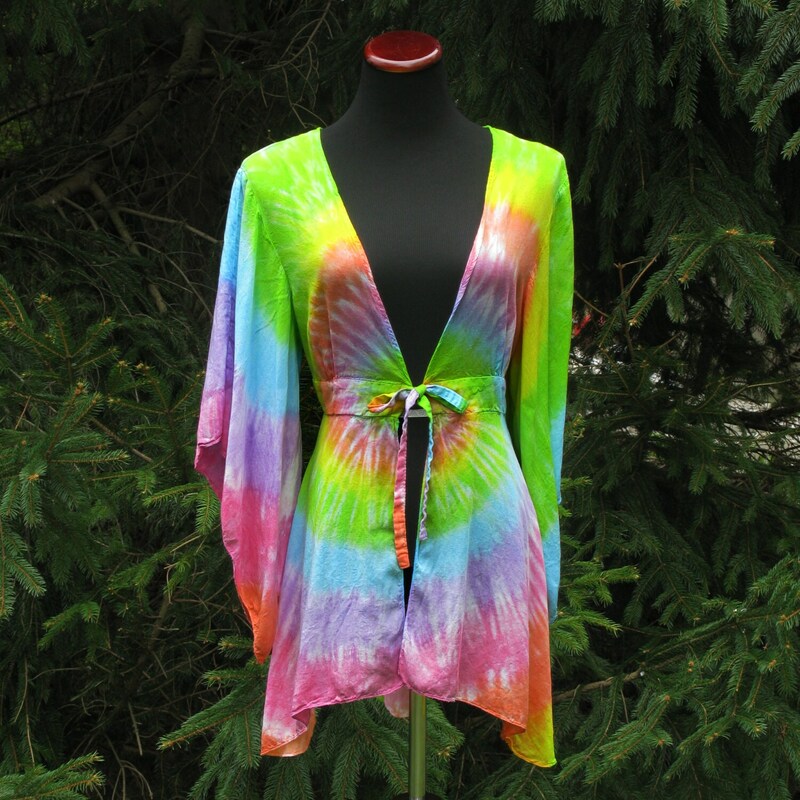 This gorgeous, flowing, kimono-sleeved jacket makes a stunning statement over a tank top or dress. 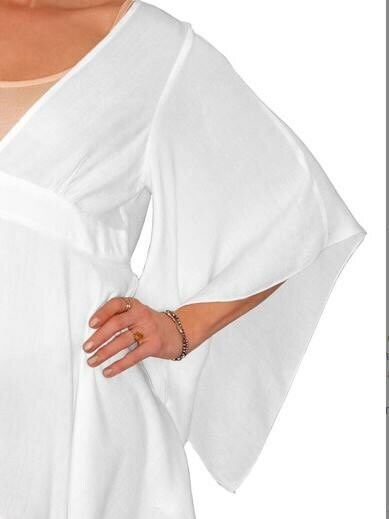 Soft lightweight rayon moves with you, reminiscent of silk veils or faerie wings! Split sleeves, handkerchief hem. 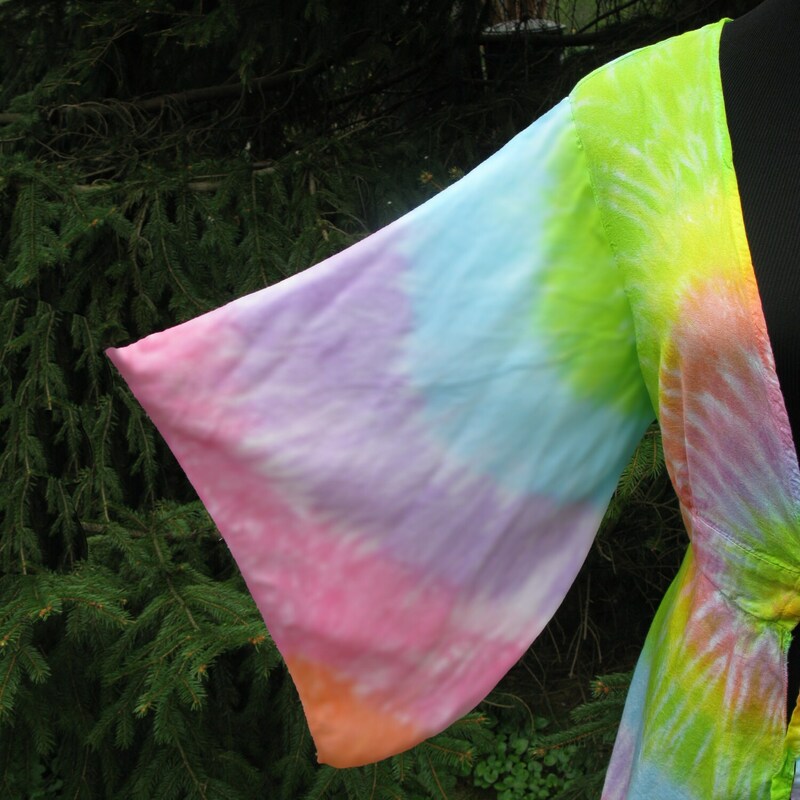 Hand-dyed in swirls of a pastel rainbow. Other colors available by special order. I accept payment through Paypal and Direct Pay. If you cancel an order before it is shipped your payment will be refunded. EVERY ITEM IS HAND-MADE so please be patient, I can't always ship the next day like a factory in China would. Most items ship in 1-2 weeks. If you need an item by a certain date PLEASE TELL ME. Shipping estimates are just that - estimates, but if I know you need something by a certain date I will do my best to meet your needs. I ship using either first class mail or priority mail, which usually take 1-5 days for delivery. I ship overseas as well. You may return any unworn item for a refund of the purchase price within 30 days of purchase. You may also exchange items for a different size or color, but all shipping charges are your responsibility. I accept and encourage custom orders - please let me know the color combination you're intersted in and I will apply it to any article I sell.